What would it feel like to participate in a healing circle of Black women leaders where you could rest, rejuvenate, and create daily practices to support yourself for the long run? What would it feel like to be in a space that focuses on YOU—the wholeness of who you are—and how that benefits not only you, but your organizations, communities, and families, as well? Imagine a space where you are asked what you need around self-care and then imagine that you are heard. How would it feel to be in a creative and safe space where there is no need to censor how you feel or what you want to say? Imagine a space where intergenerational wisdom is shared and there is no need to justify your feelings or comfort fragility. 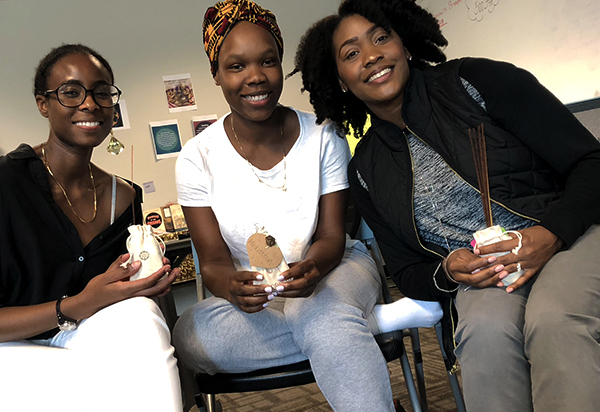 Through CompassPoint’s new program, Self-Care for Black Women in Leadership, we’re striving to create a space for Black women to come together and do just that! All current offerings of this program are full. Interested in joining this program the next time it's offered? Please email springo@compasspoint.org to join our interest list. CompassPoint’s five-part series is a learning community tailored for Black women in leadership. This community is designed to support you in developing self-care practices grounded in ancestral resilience, creating a long-term plan for personal sustainability, and connecting with a supportive network of fellow Black women in leadership. Twelve Black women will meet over a period of eight months as a learning community through five in-person gatherings. Sessions will be co-facilitated by the CompassPoint team and outside facilitators. 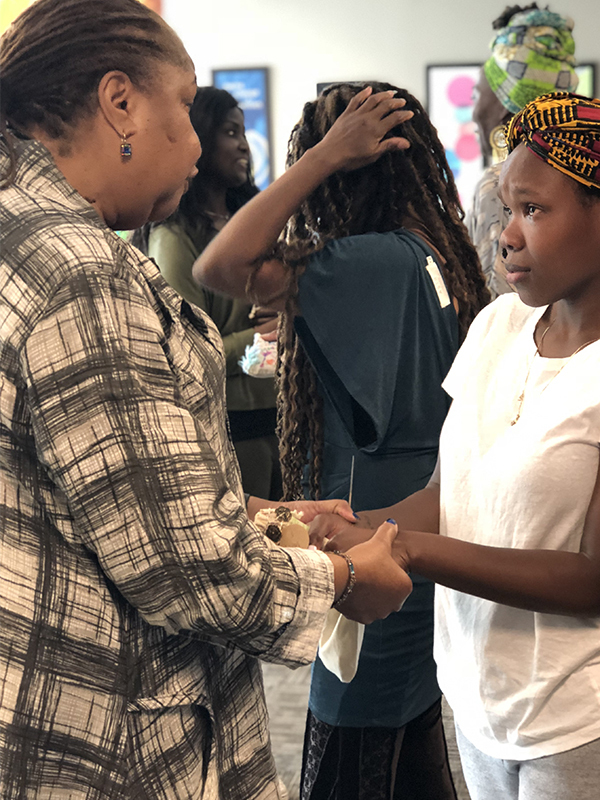 We believe that in order for healing from multigenerational trauma to occur, Black women MUST be afforded space to find their true voice and lift it up, to speak for themselves, and play an active role in determining what that healing should look like. We'll explore various self-care practices that can be used to center and promote health and wellness, including yoga, art, meditation, exercise, and breathing techniques. "I really enjoyed the opportunity to do some storytelling and to think about my own self-care. I walked into the session not knowing what was going to happen and with no expecations and walked away committed to learning more about the history of self-care rituals and practicing self-care for myself. In addition to that, I connected with some amazing women whose stories were so connected to mine." How Can I Finance My Participation? Information on participation fees is shared below. Please note that there are also scholarships available and that no one will be turned away for lack of funds. For nonprofit leaders, we encourage you to reach out to leadership at your organization and see if it’s possible to access organizational funds. Many organizations have funds available for learning opportunities or professional development. If it’s helpful for leaders at your organization to contact us directly, please email program facilitator, Spring Opara at springo@compasspoint.org. If you are a funder—consider sponsoring participation of team members from your grantee organizations! Note: that the kick-off session is TWO DAYS. Participation fee includes all four sessions, meals and materials. Want to learn more about the Self-Care for Black Women in Leadership Program? Call Spring Opara at 510.318.3738 or email her here.